Internal Revenue Service Commissioner Doug Shulman reached out to thousands of Ponzi victims Tuesday by issuing new guidelines for filing tax theft loss deductions. Shulman's statements, which were to provide clarity and "safe harbor" procedures for taxpayers who sustained investment losses discovered to be criminally fraudulent, came during testimony before the Senate Banking Committee and at a press conference. The key elements of the IRS's guidance focus on investors being entitled to a theft loss deductible in the year the fraud is discovered, except to the extent there is a claim with a reasonable prospect of recovery. The good news for Ponzi victims is that the IRS will allow the amount of the theft loss to include the investor's unrecovered investment, that is, the principle plus other investments minus withdrawals, but including "fictitious income" as reported in past years, according to Shulman. In addition, victims who are part of partnerships, or small businesses, will be able to go back 5 years to recover investments and phantom monies. Previously, it appeared victims could only go back three years. With this new ruling, a theft loss deduction that creates a net operating loss for the taxpayer can be carried back five years and forward 20 years to generate a refund of taxes paid in other taxable years. Complicating matters a bit for victims, the IRS said that those who are suing Madoff will be able to recover 75% of their net operating loss, while those not suing will be able to recover 95%. This does not, however, include monies recovered through filing claims with the Securities Investor Protection Corp., which can be up to $500,000. "I was surprised to see the five year carry back," said Neil Tipograph, an accountant at Manhattan-based Imowitz Koenig & Co. "Overall, I think this was a reasonable answer for most victims." The key date for Madoff victims will be Dec. 31, 2007, according to Tipograph, the starting point for the theft loss calculation and not the partial year balance of 2008. Madoff was arrested on Dec. 11, 2008 and many victims received statements only through Sept. 31, 2008. "On balance this looks like a generous plan for many taxpayers," said Bob Goldstein, a senior tax consultant at Marks Paneth & Shron, New York. 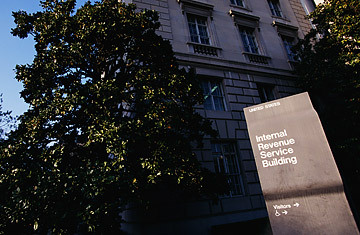 "It looks like an easy way for the IRS to handle this, but some things will be given up," Goldstein said. Those include, he says, the right to recovery by mitigation ("mitigating" or amending closed returns), claim of rights (a tax credit equal to taxes paid on Ponzi income to original investment), and amending returns based solely on phantom income (removing Ponzi or phantom income going back three years). "I didn't expect the carry back to five years," Goldstein said. "That was a surprise, and most people should qualify for this, and I think that's fair." As for those in feeder funds, it's more of a waiting game. Those victims can opt to file amended returns, but the IRS recommends they wait for their partnerships or fund managers to issue revised K-1's, which may take many more months, up to Sept. 15. Those who have already filed will need to go back and amend their returns, noting the new rules, and will get a filing extension to May 15, the IRS said. There are an estimated 4,800 people and/or funds who invested directly with Madoff and many more thousands who invested through pension and "feeder funds." In addition, there are an estimated tens of thousands invested with R. Allen Stanford's alleged $8 billion Ponzi and in the dozen or so Ponzis that have surfaced in the last three months.